To be an effective teacher in the 21st century, teachers need to be able to engage and interact with a wide variety of information from an ever increasing range of sources. Wesch (2009) suggests that the media environment educators are currently faced with can become vastly disruptive to traditional teaching methods. Teachers today need to become lifelong learners in an information society where information flows freely, is instant and infinite (Wesch, 2009). For this to occur, teachers and students alike need to develop strategies for engaging with, working with and constructing new knowledge, or as Wesch (2009) describes, moving from being just knowledgeable to knowledge-able. But do teachers realise this? Teachers need to be equipped with ever-increasing skills and competencies to manage this hyper-connected, knowledge environment in order to best prepare students for the 21st Century, a world where the only constant they know is change. Redecker et al (2011) describes generic, transversal and cross-cutting skills to be the most important in enabling both students and teachers the flexibility and pro-activeness needed to respond to these fast paced changes. The video below examines some of the changes and unique challenges that are happening in the world today. Whilst it was specifically created for a Canadian school district, it is still relevant to education and the need for teachers to be prepared and develop their skills. Today, teachers are constantly challenged to develop their own thinking and practice to prepare students for active and successful participation in a knowledge society, by developing students who are effective knowledge workers and competent citizens for the future (Skilbeck & Connell, 2004). It is because of this that the need for teachers themselves to become modern, productive knowledge workers is crucial for education in 21st century learning environments. Knowledge workers have high levels of education; they are workers who think for a living, whose main role surrounds developing and using knowledge. Knowledge workers are highly motivated, possess factual and theoretical knowledge, find and access information effectively, curate and organise information. Teachers are an example of a knowledge worker (Cooper, 2006). In this developing knowledge economy, it is becoming apparent that teachers are faced with the need for higher level skills, flexibility and entrepreneurial teaching and learning (Skilbeck & Connell, 2004). Given this expectation and the description of a knowledge worker, it is obvious that the time for teachers to ‘level up’ is now! The following ‘Portrait of a Knowledge Worker‘ (Le Borgne, 2012) illustrates the myriad of characteristics that pertain to knowledge work. 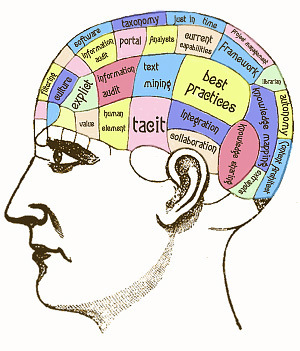 Image: Portrait of a Knowledge Worker (Le Borgne, 2012). Drucker (1999) identifies innovation as a key characteristic of a knowledge worker. He suggests that if knowledge workers continue innovation and change, those around them come to see change as an opportunity, therefore, having a positive impact on a larger amount of people. In order to continue innovation, a teacher must continue to learn. Moving beyond traditional assumptions of learning as an individual process, 21st century teaching and learning environments are changing the way educators (and students) learn (Nussbaum-Beach & Hall, 2011). In considering the changing scope of today’s learning environments, social learning methodologies should be embraced. Teachers today need to develop dynamic learning mindsets and embrace learning that is social, collaborative and self-directed, these concepts shared in the following video outlining social learning in the 21st century by Lab SSJ (2010). Social learning allows emphasis to be placed on real-world interactions between people and the learning process (Ford). Subsequently, teachers are able to develop their learning and knowledge acquisition through social media tools. Such tools are able to create higher levels of social learning given the faster and wider access to people and resources (Coleman and Lenox, 2010). As a result, teacher learning can happen anywhere, anytime, revolutionising their current knowledge networks. Significantly, the following explanation and excerpt from the Ted Talk ‘How Web Video Powers Global Innovation’ by Chris Anderson exemplifies how social learning- creates accelerated innovation through crowd sharing and collaboration (Fuse Universal, 2011). With continuous, personalised and autonomous learning, punctuated by social learning methodologies, teachers become life-long learners who are abreast of changes occurring in the education realm and know how to apply these changes to their current contexts (Whitby, 2013). Highly effective teachers are successfully able to analyse increasing amounts of information, and model knowledge acquisition, many teachers are doing this through the development of Professional Learning Networks (Trust, 2012), or more commonly referred to as a Personal Learning Network (PLN). A significant element of an effective PLN is that it is personalised, teachers – knowledge workers, determine their own needs and goals and use their connections and networks to acquire information and develop their knowledge (Whitby, 2013). Correlating to this, in ‘Management Challenges for the 21st Century’, Drucker (1999) explains the importance of knowledge workers defining the ‘task’, by asking themselves- What is the purpose? What do I want to achieve? 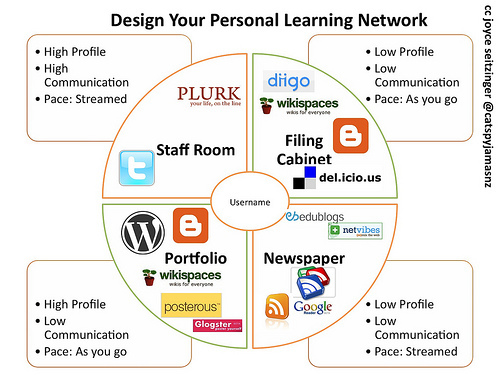 Doing this enables a PLN to become an incredibly unique, tailored experience that allows teachers to engage in powerful learning experiences (Exley, 2011). As teachers endeavour to create and engage in a PLN they continuously ask themselves these questions in order to personalise their knowledge growth. Another essential point in evaluating the need for teachers to become modern knowledge workers for the 21st century is the idea that knowledge workers desire different working environments (Tucker, 2013). They are ambitious and yearn for self management; they have to have autonomy (Drucker, 1999). When teachers take control over their own learning through developing a PLN, this autonomy in what they want to learn and how they want to learn becomes apparent. Through this versatile and autonomous learning, they are developing higher skills, leveraging and building knowledge and continuing self-development (Jayasingam & Ren Yong, 2013). Importantly, Stevens (2010) emphasises that teacher autonomy, through continuous lifelong learning needs to be a skill practiced and mastered before applying similar concepts with students. The following image from Seitzinger (2010) effectively illustrates common tools and design elements of effective PLNs. As teachers embrace becoming modern knowledge workers in 21st century teaching and learning environments they, as described by Berry, Byrd and Wieder (2013), are encouraging and exhibiting the full extent of collective innovation and creativity. Sir Ken Robinson below explains this notion of innovation and the importance of creativity in education. Creativity is essential for preparing students effectively for a digital, information and knowledge based economy. In order for them to be successful in a workforce where many jobs do not even exist yet, they need to think differently. Teachers need to become productive modern knowledge workers who embrace this level of education and adopt a more unconventional approach to thinking and creating (Wooten, 2013). Teachers as knowledge workers think beyond traditional education paradigms. They act as a coach, coordinator and mentor as described by John Seely Brown in the Global One Schoolhouse video. (DML Research Hub, 2012). He describes the importance of learning and teaching happening simultaneously in environments that are full of play, imagination, tinkering, making, change and webs of connections. It is entrepreneurial learning. Continuing innovation as a teacher, knowledge worker, in 21st century teaching and learning environments means taking risks. This is crucial for the future of education and a significant catalyst for change (Heick, 2013). 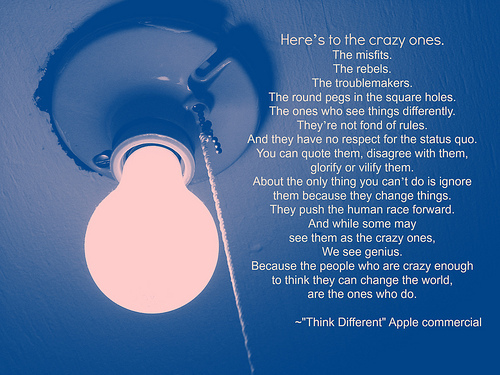 In order to teach creative and innovative thinking, teachers must have the skills to think differently themselves. They need creative spaces and tools and a range of frameworks that help to develop their own criteria of achieving quality and success (Heick, 2014). Taking risks and generating change is attune to what is known about entrepreneurs (Berry et.al, 2013). Teachers, knowledge workers, are self-reliant, highly optimistic, they embrace and lead change, they generate new ideas, they innovate. They are ‘Teacherpreneurs’ (Berry et.al, 2013). The need for teachers to become productive, modern knowledge workers in 21st century teaching and learning environments is essential. Given the fast paced digital, information and knowledge based society in which traditional educational paradigms are being challenged, teachers need to change and keep up so they can best prepare students for the future. Developing the skill sets to become knowledge workers allows teachers to embrace the changes and challenges they are faced with. Teachers who commit to ongoing and dynamic further learning mindsets, making the most of the affordances of social learning methodologies and cultivate a desire to embrace change and think differently are modern and productive knowledge workers. Drucker (1999) once described a productive knowledge worker as one that works hard to improve and is valued as a capital asset. Thinking in this way, teachers as knowledge workers could have the potential to become the most powerful and valuable assets for the future of education. Cooper, D. (2006). Knowledge Workers. Canadian Business, 79(20), 59. Drucker, P. F. (1999). Management challenges for the 21st century. New York: HarperBusiness. Loughran, J. (2010). What expert teachers do: Enhancing professional knowledge for classroom practice. London: Routledge. Nussbaum-Beach, S. & Hall, L.R. (2011). The Connected Educator. United States: Solution Tree.